Tastefully display objects of art or unique works with style and flair. 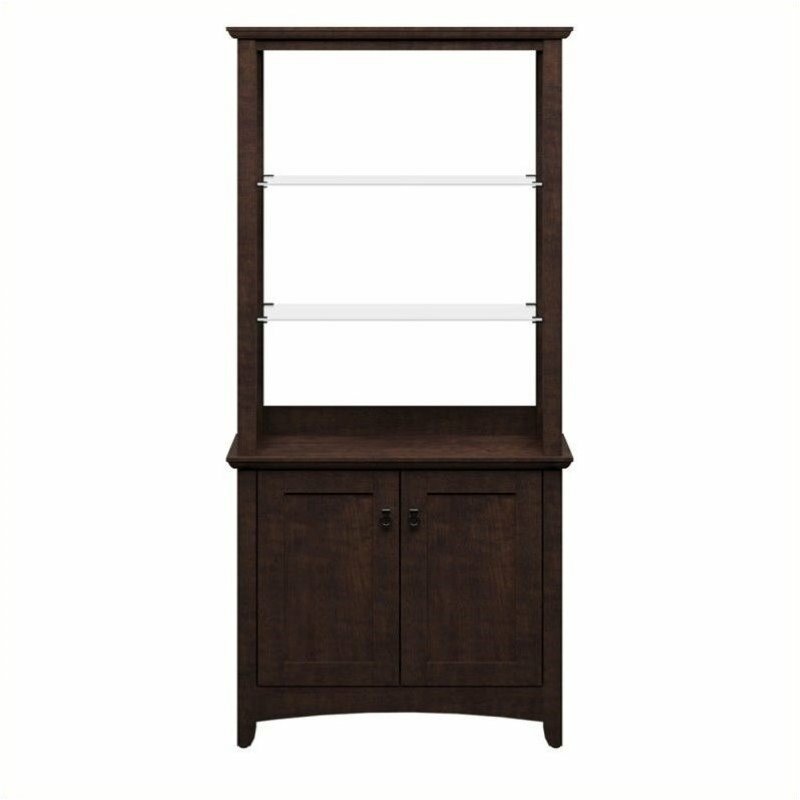 This Cherry 2-Door Tall Library Storage holds books, personal items or displays of all kinds. Two attractive, adjustable clear tempered glass shelves fit most room décor. Spacious bottom shelf is adjustable and enclosed by two doors with aged, bronzed-metal door hardware. 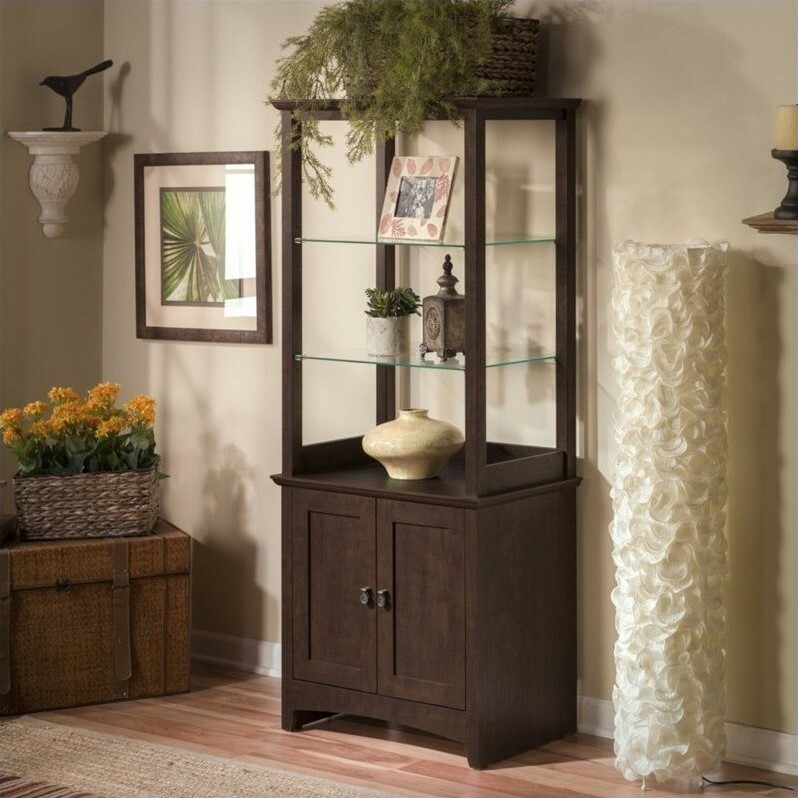 Works at home as a curio cabinet or in an office as a combination bookshelf and storage unit. 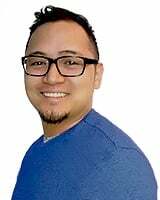 Small footprint allows room-placement flexibility. Solidly constructed and versatile, its elegant post leg design and curved base-rails add a splash of panache. Surface and edges resist dings and nicks, scratches and stains. Rugged construction provides long life and offers total functionality. Backed by 1-year Manufacturer's Warranty. This consumer rating is based on 1 reviews of all Pemberly Row products. The Pemberly Row 2 Door Tall Library Storage Unit in Madison Cherry has not yet been reviewed, be the first!